Finished Document Solutions are specialists in all types of Binding, Finishing and Laminating machines and supplies. 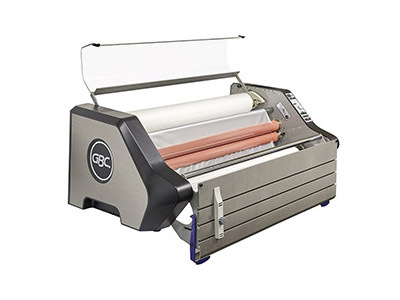 We offer guaranteed low pricing on guillotines – large and small, folders, paper drills, collators, bookletmakers, shredders, perforating & scoring equipment, laminators, perfect binding machines and more. FDS technicians are highly trained on the wide range of finishing equipment that we offer. Customers can select either service contracts (planned maintenance) or service call-outs. We can also service equipment that may not have been purchased from FDS. Our technicians stock a comprehensive range of spare parts for your peace of mind. With over 30 years experience let our knowledge of the market place help you get the right equipment at unbeatable prices. The TL2600 - Auto Wire is the first Wire Closer that uses an auto size detector to automatically detect the wire size being used and then automatically sets itself to close, negating time consuming set up and adjustment. Wires are held in position by use of a strong back magnet and textured jaws. Closing the jaws is triggered by a foot pedal or a touch button. An ideal Wire closer for all environments. Foot pedal and touch screen operated. Touch screen micro adjustment should you need to close your chosen wire, more or less. Magnetic back wall and textured closing jaws ensure accurate placement and holding, during the closing process. Having always been a very popular choice for offices and education, the Ultima 65® laminator is now better than ever. With EZload® film technology, using the laminator is practically foolproof. 50% Faster Film Loading, the film rolls are very easy to load properly the first time round, which greatly reduces the chance of film wraps. The Ultima 65 is the perfect laminating solution for everything from photos and documents to posters. Read more about the new Magnapunch Pro..
One-second punch cycle, capable of punching up to 49,000 sheets per hour. Re-designed metal cover with open view to die set ruler. Improved edge guide with adjustable sliding knob/screw system. Large chip tray collects chips from up to 40,000 sheets, eliminating the need for frequent emptying. At FD Solutions Ltd we offer a wide range of binding equipment including finishers, punchers and all in one system to ensure that you are able to easily create perfect presentations without wasting a lot of time and energy. Whether you are looking for a binder or punching machine to be shared at the workplace or even automated equipment that can conveniently produce large amounts of documents, then you should consult us first. 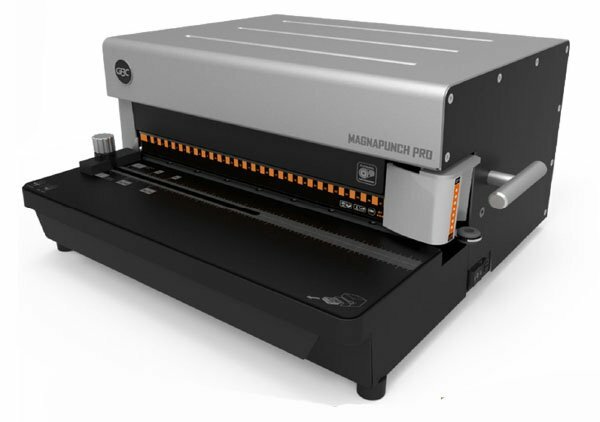 One of our leading manufacturers, GBS has recently unveiled the launch of a new machine that makes punching faster and more efficient, the Magnapunch Pro. For those who frequently use a punching machine, they know how unreliable some of the machines are especially in business. The Magnapunch Pro redefines the process of handling documents with its sleek new design and look. No one really wants to waste paper and time on bad printing. 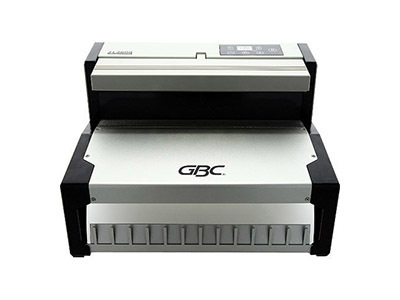 That why GBC designed the new Magnapunch Pro, the solution to all your documents handling. Furthermore, it also comes with instructions manual which makes the installation easyand within a short time you'll be working on your documents. 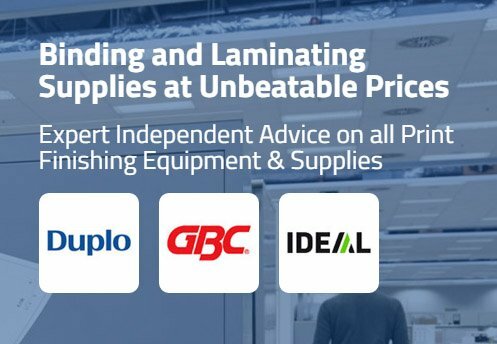 As leading distributors of GBC, James Burn, Renz, Ideal, GNP, Morane, and Morgana products we have a wide range for you to choose from. Delivery of our products is next day throughout the UK with over 3000 consumable products in stock. Our Customers range from small home users to large printrooms and copyshops as well as the educational market and leading professional companies. Something special needed? We can help! FDS can provide bespoke items such as printed combs, printed covers or even printed binders or folders. Call us on 01189 561740 for more information.